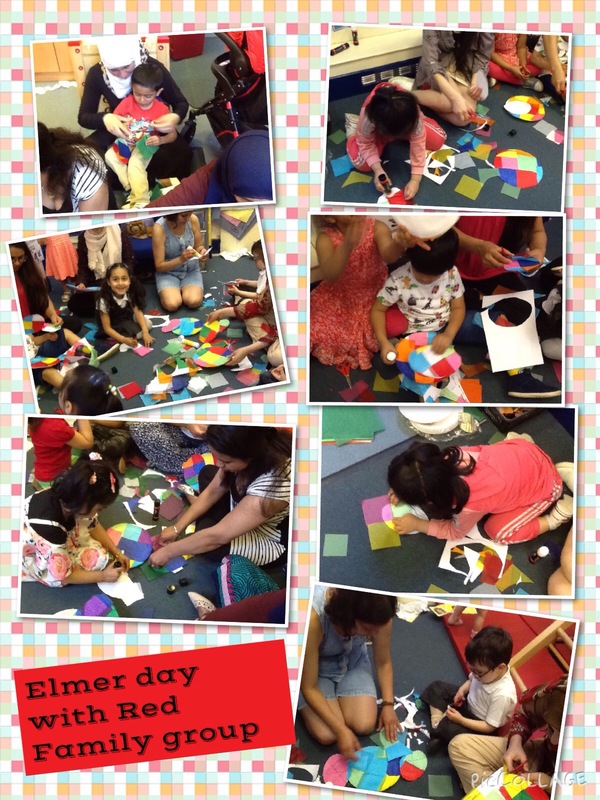 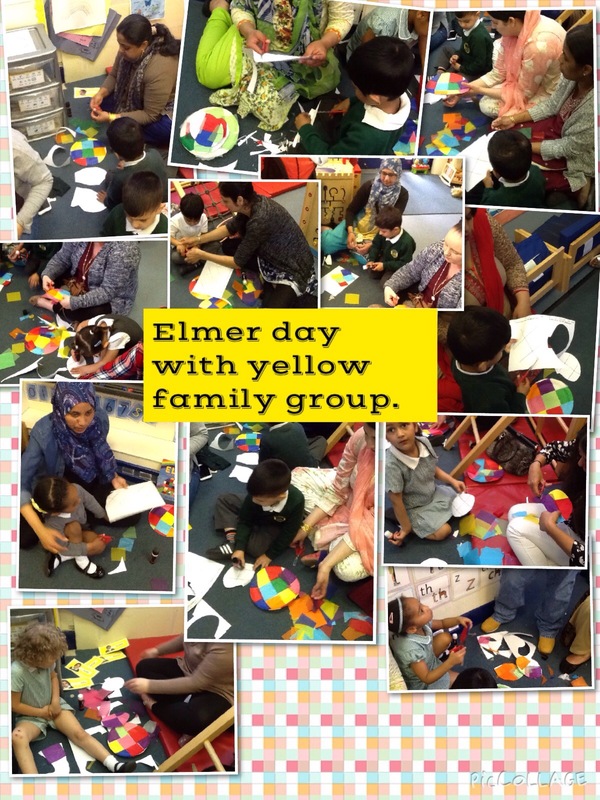 We have enjoyed reading different Elmer stories this week. 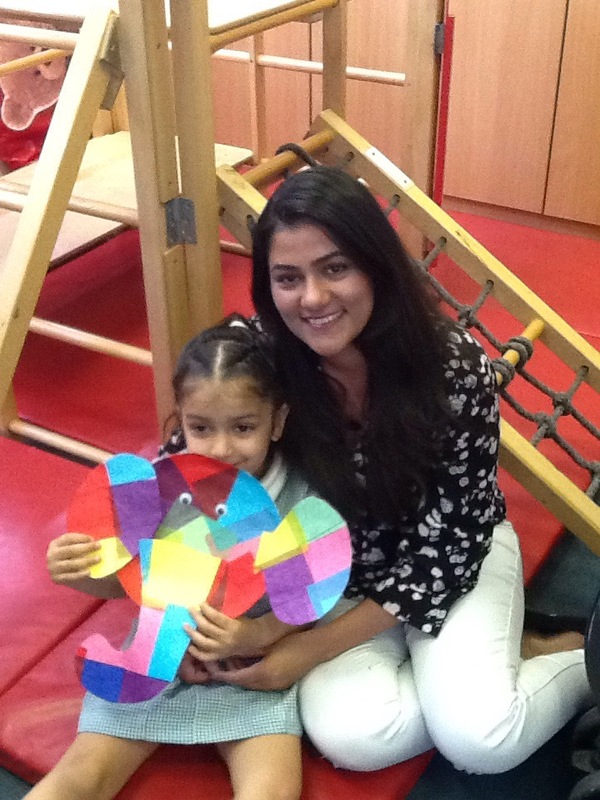 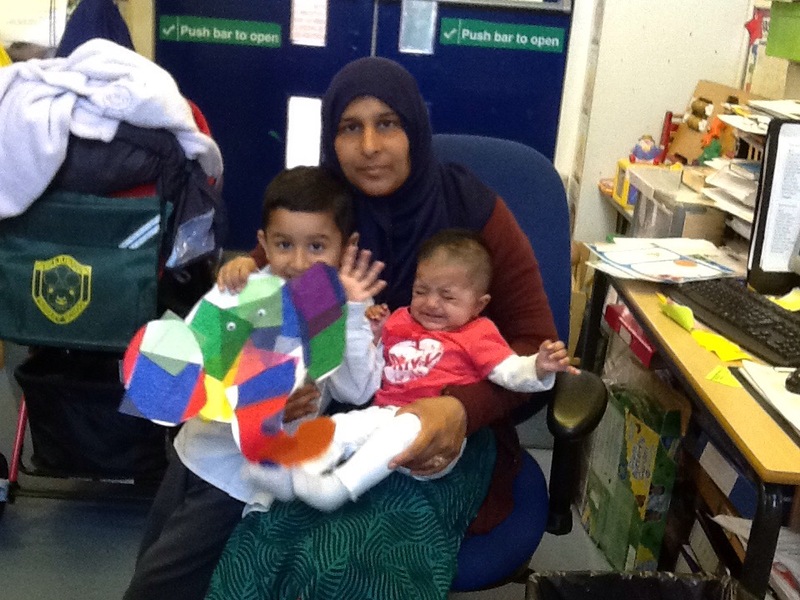 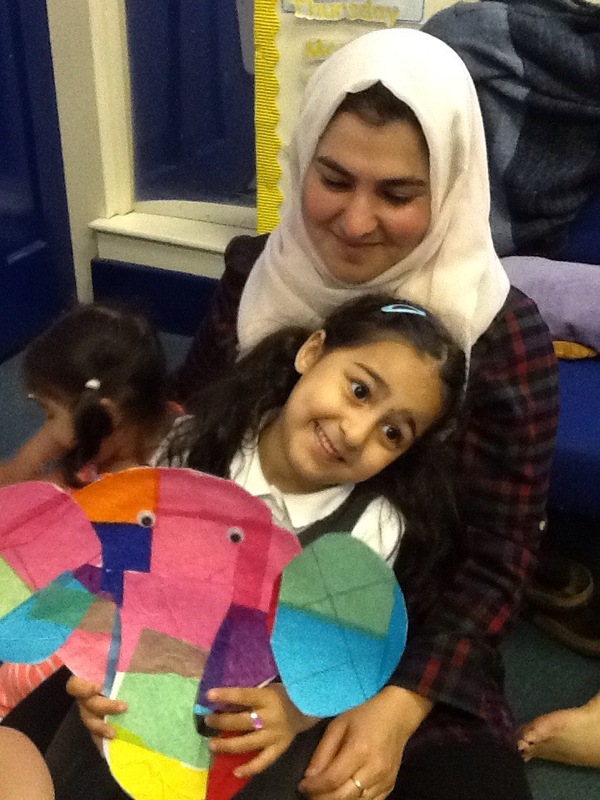 Thank you to all the parents who have come to the parent drop ins this half term. 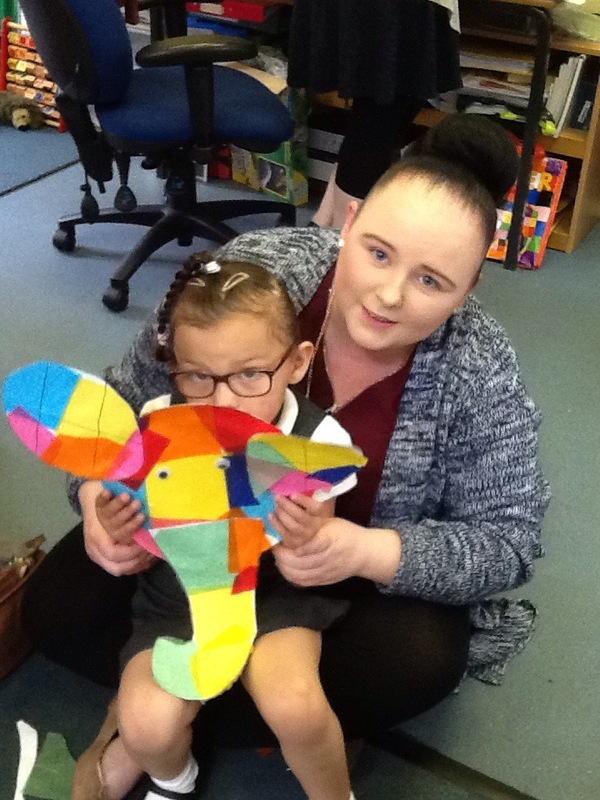 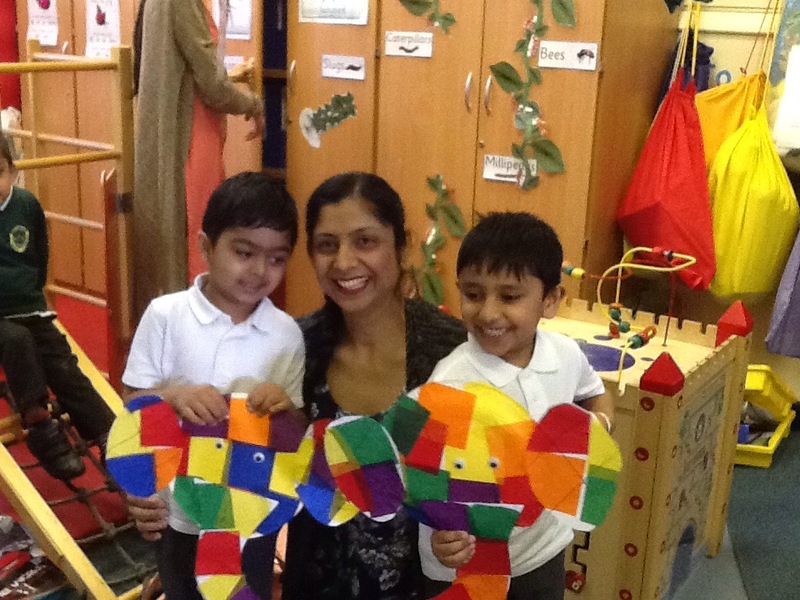 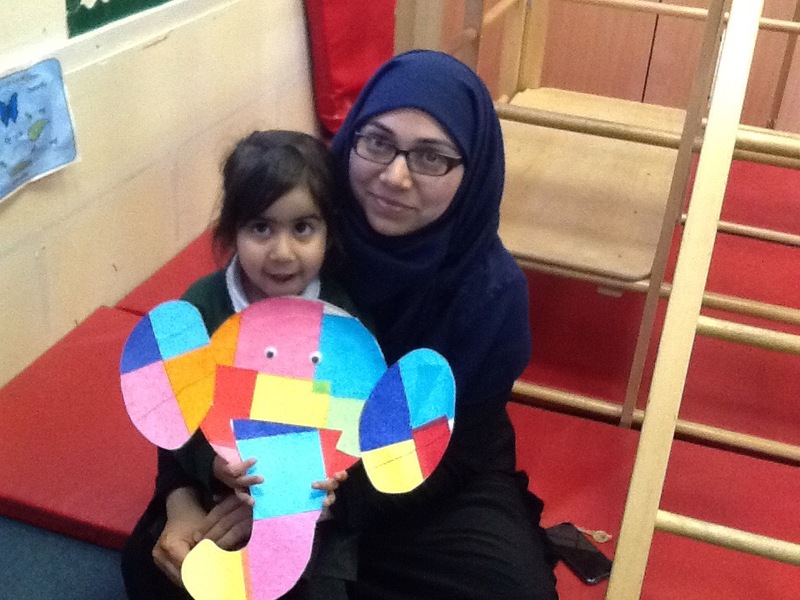 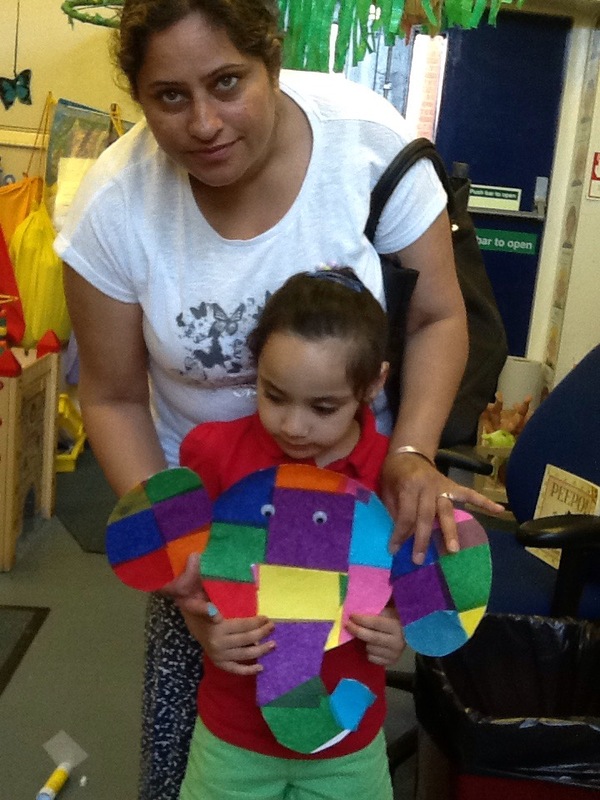 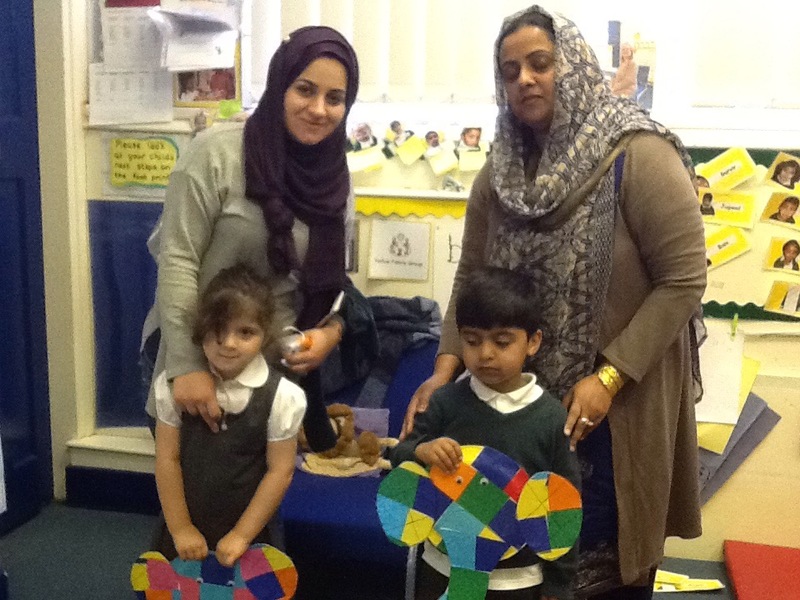 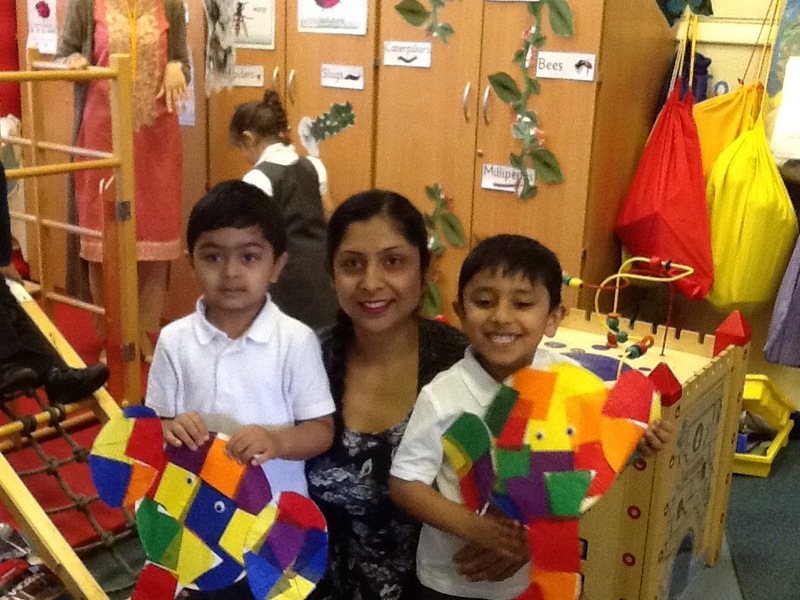 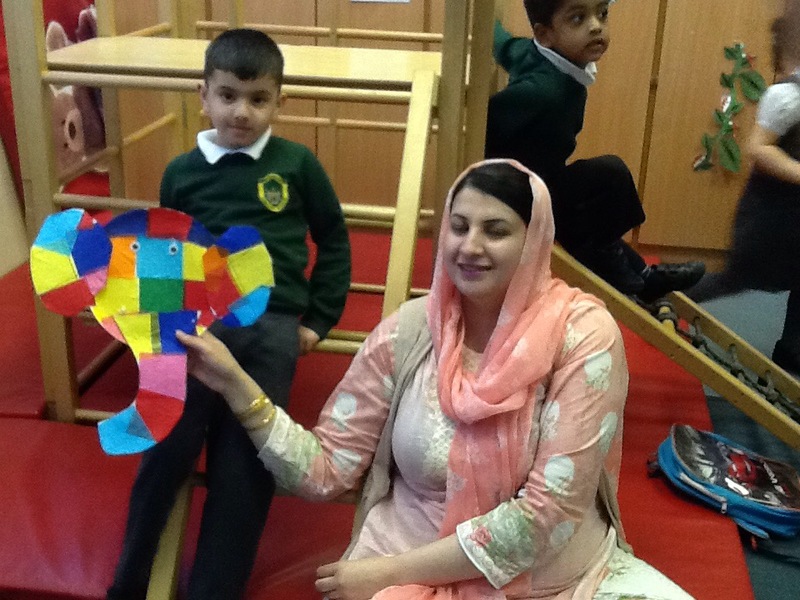 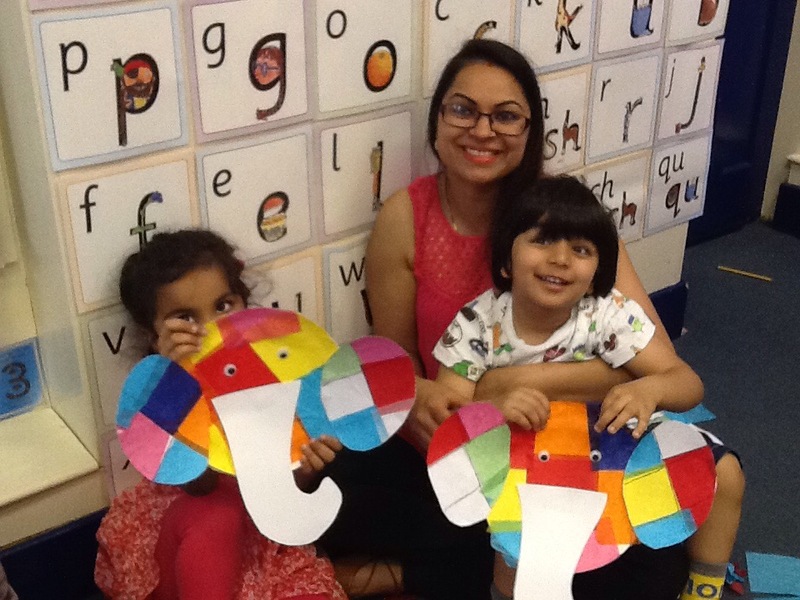 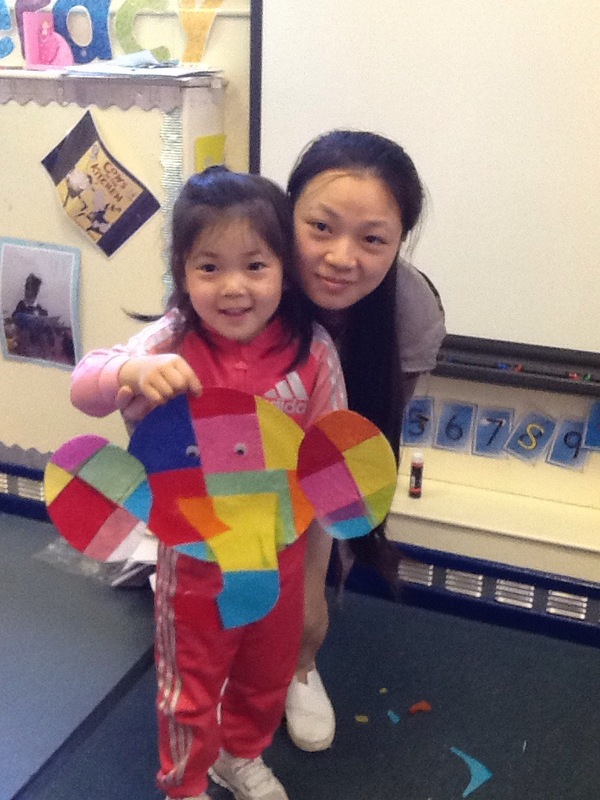 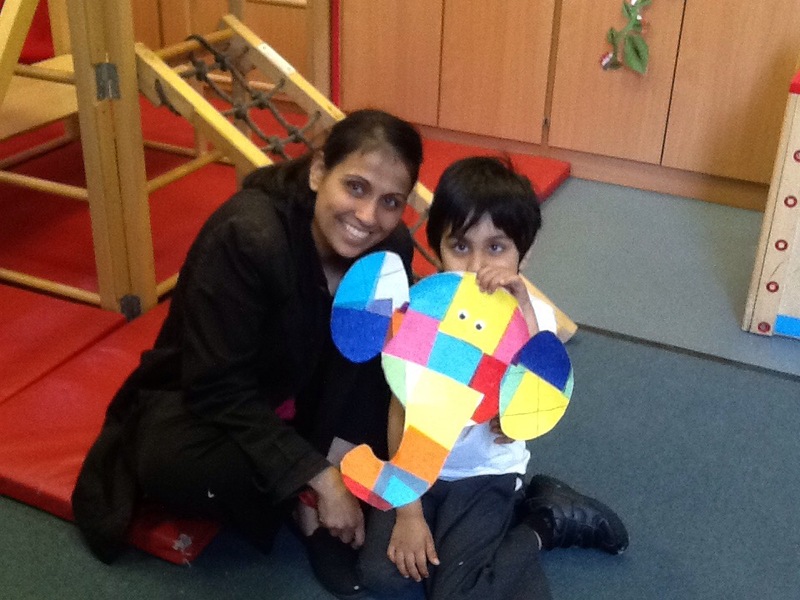 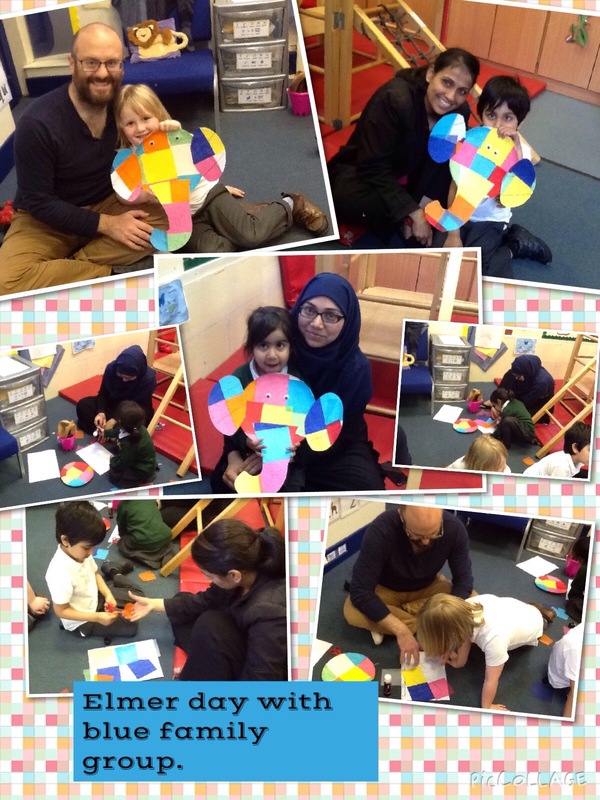 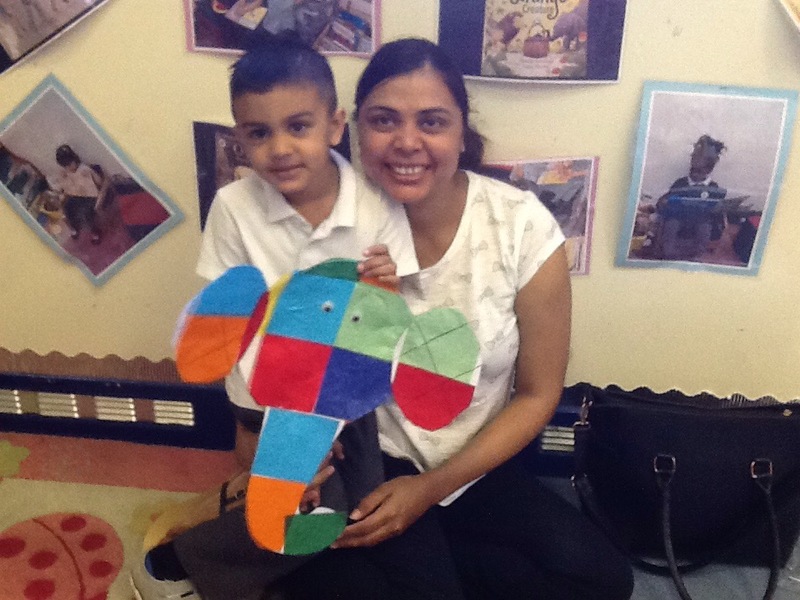 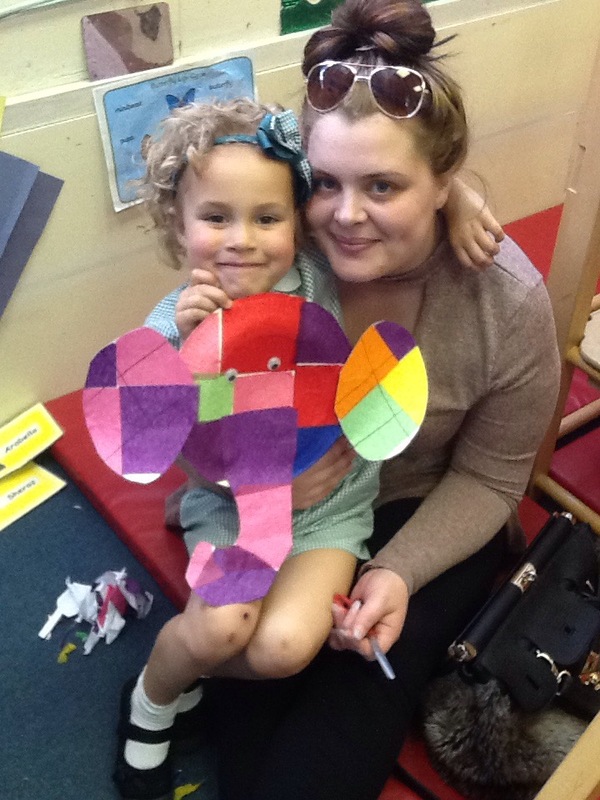 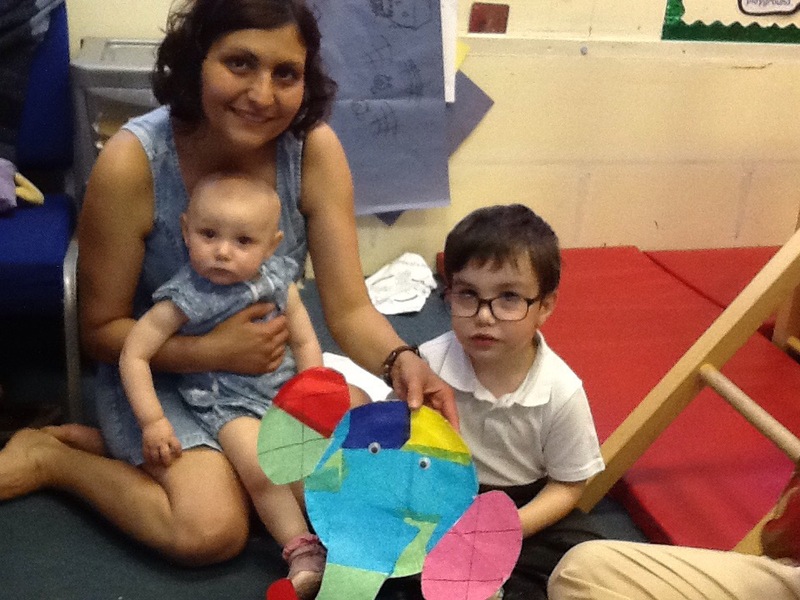 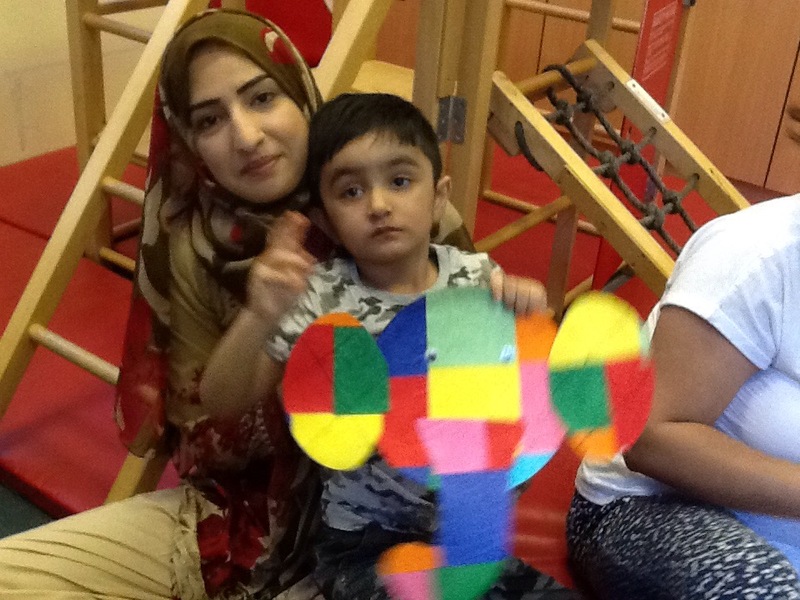 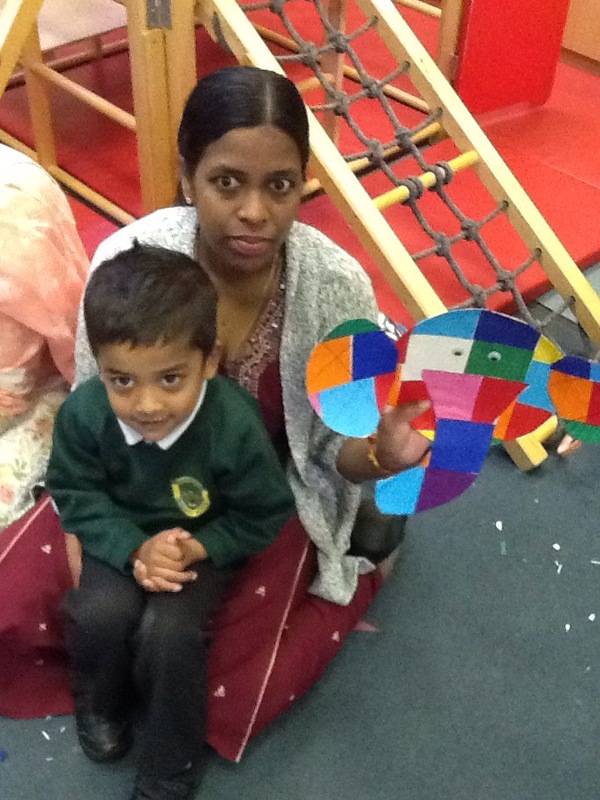 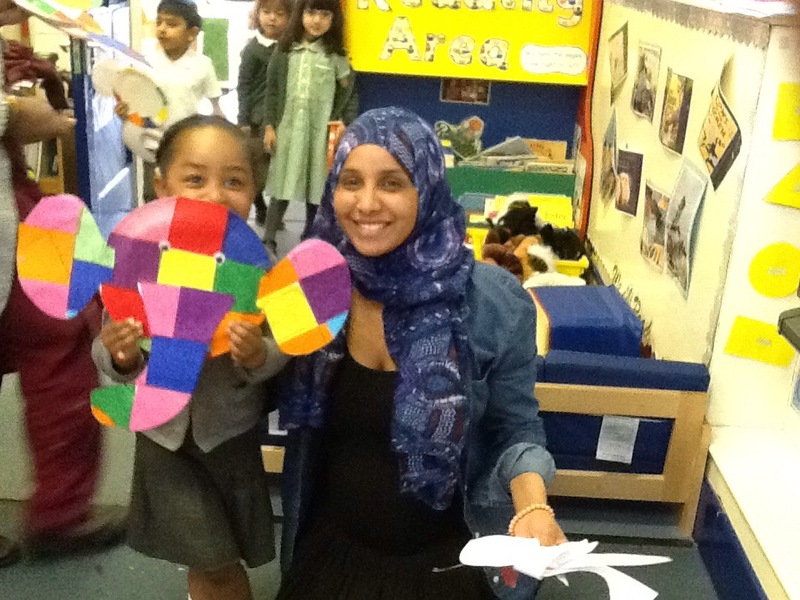 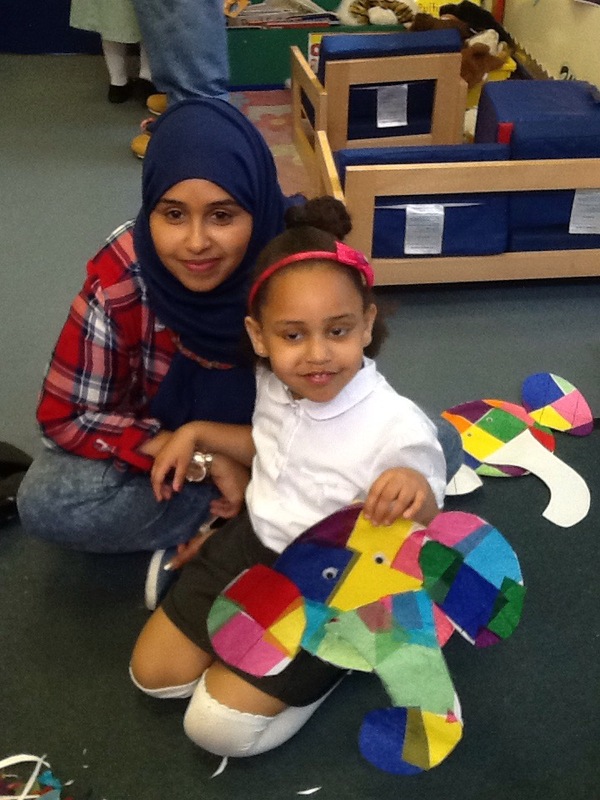 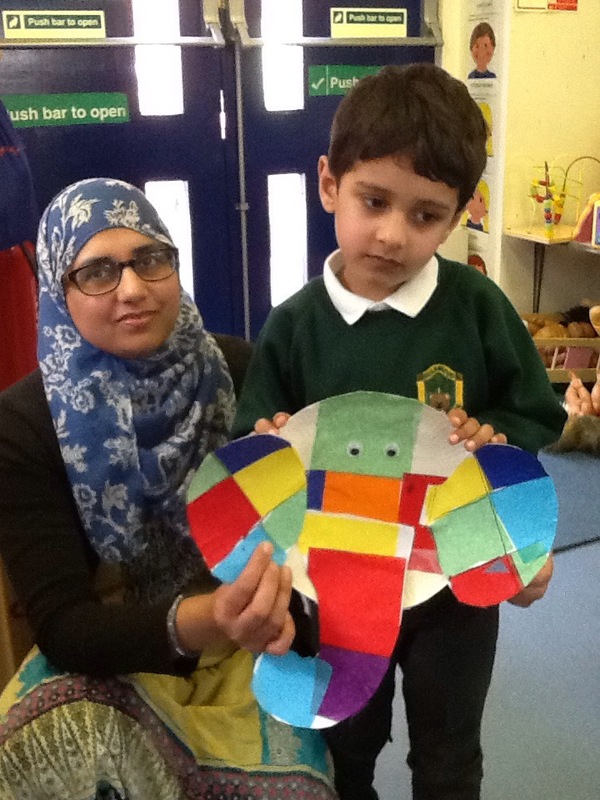 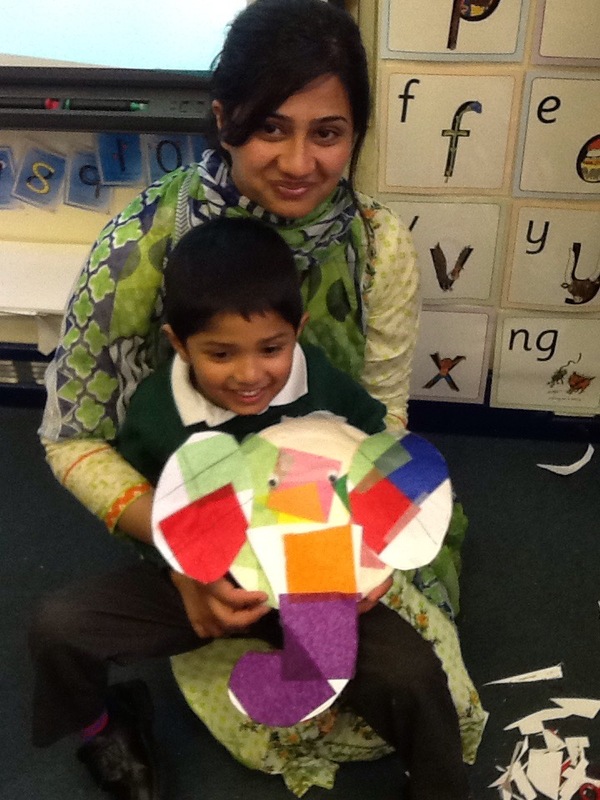 This week we have enjoyed making colourful Elmer the elephants. 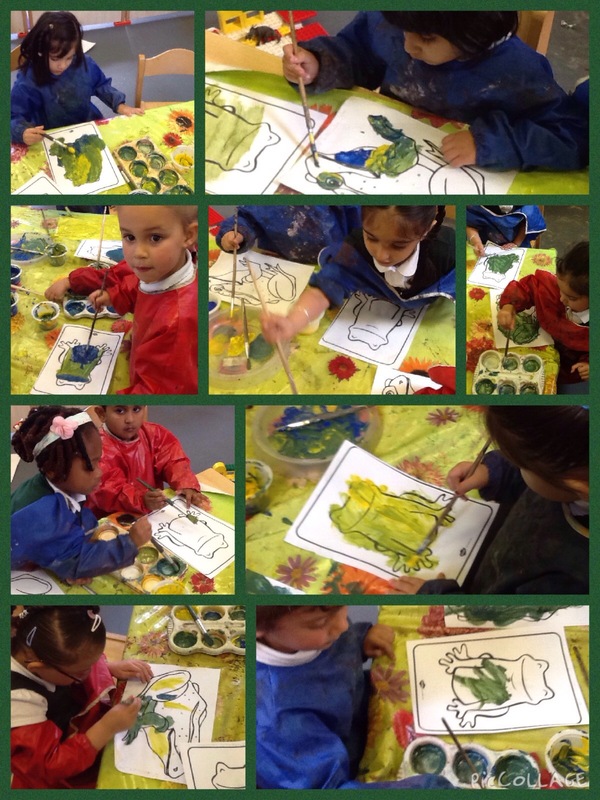 This week we have read a story about a tadpole who turns into a frog. 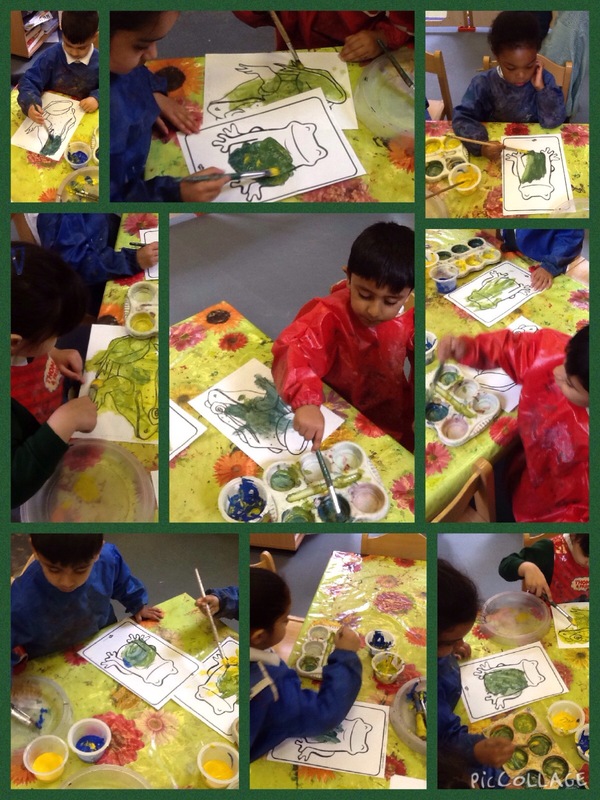 The children explored mixing colours to try and make green to paint their frog. 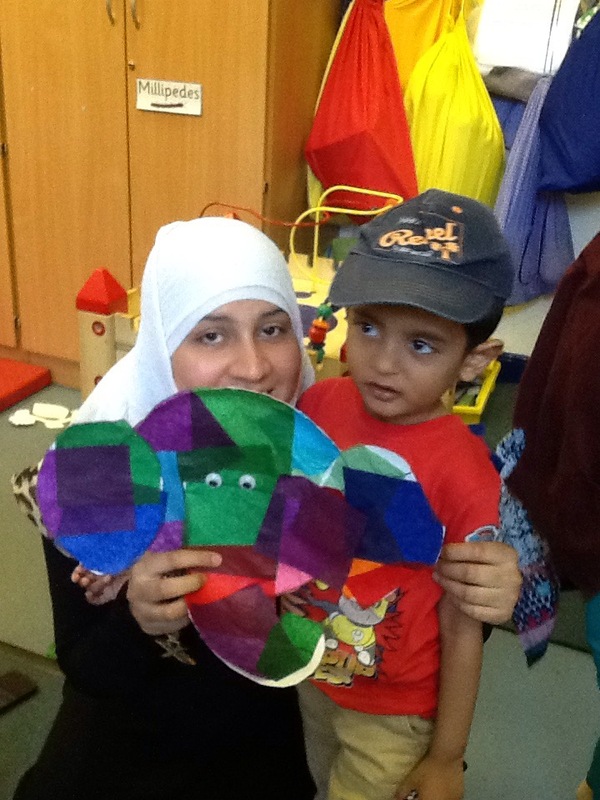 Last week we read the story ‘The very hungry caterpillar. 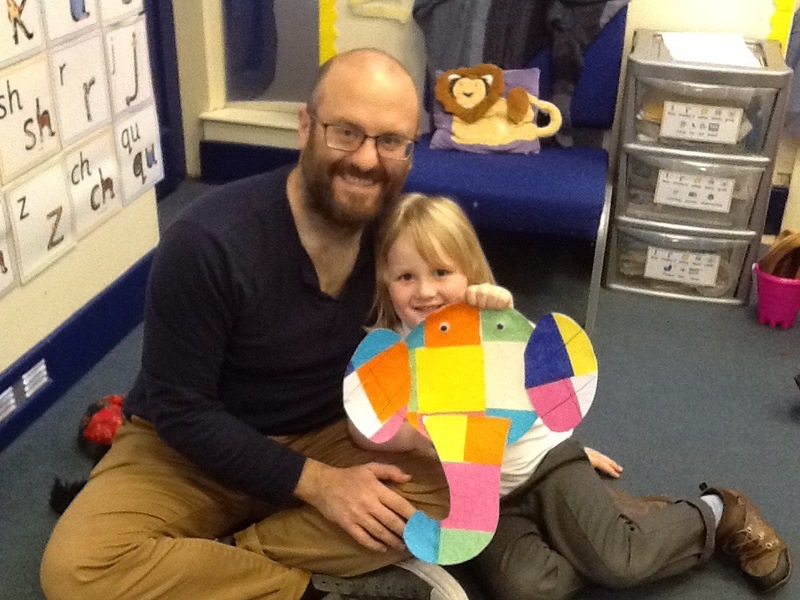 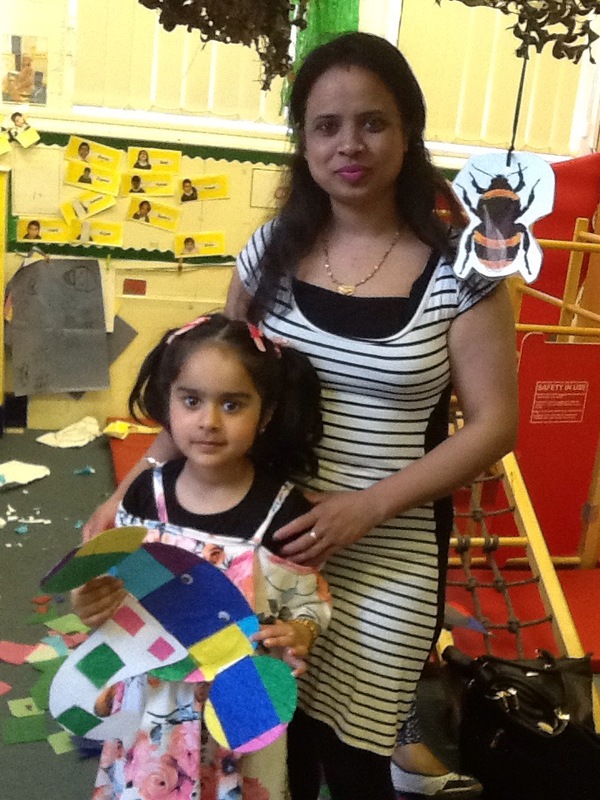 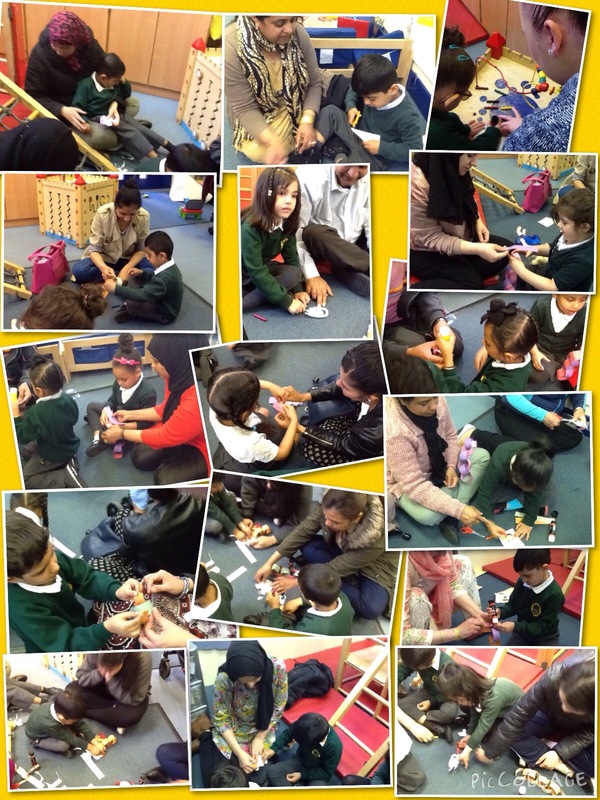 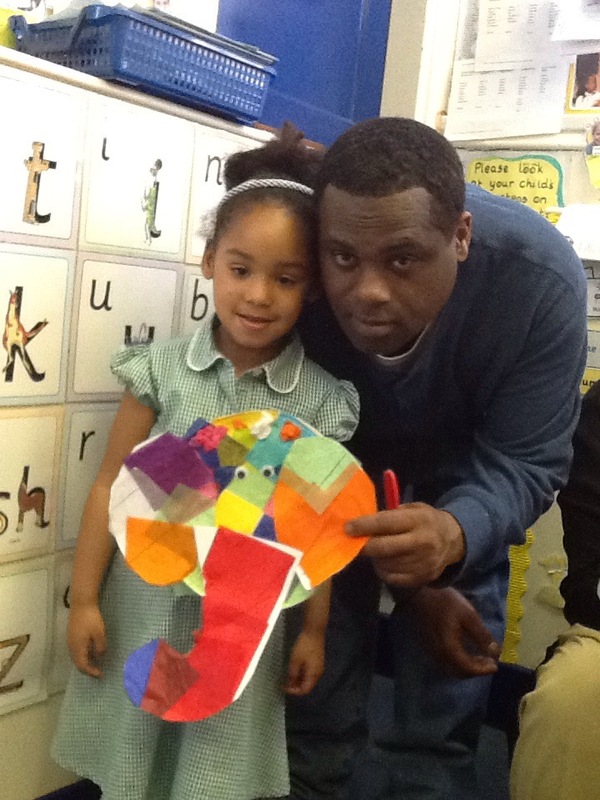 We have had lots of fun making caterpillars with our moms and dads. 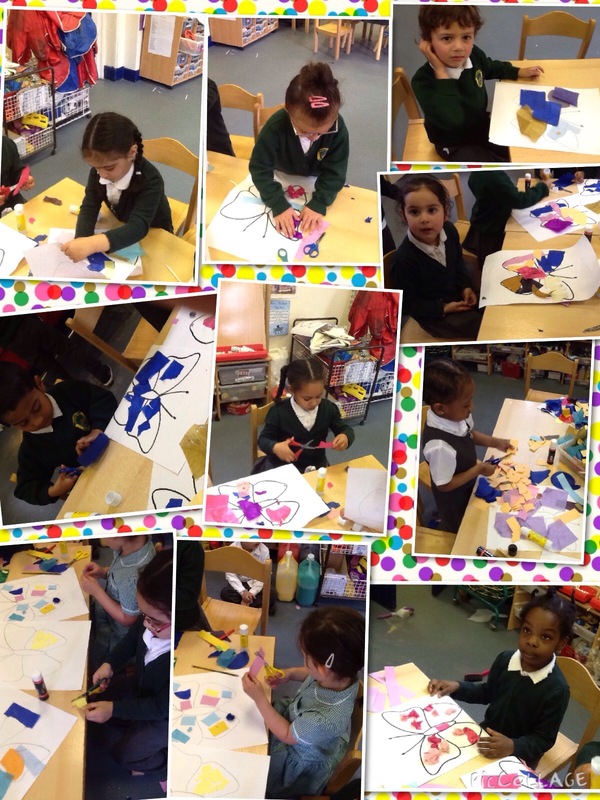 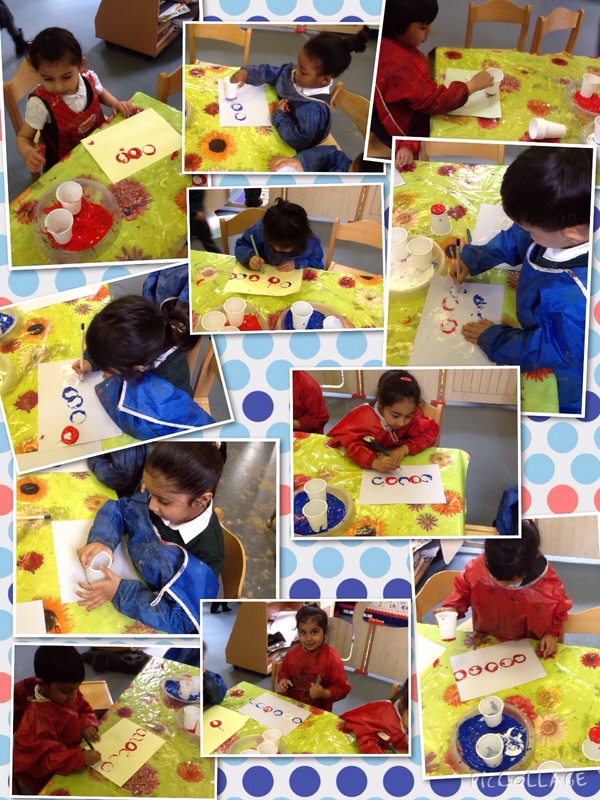 We have also been very creative making butterfly pictures and printing circles using paint to make long caterpillars. 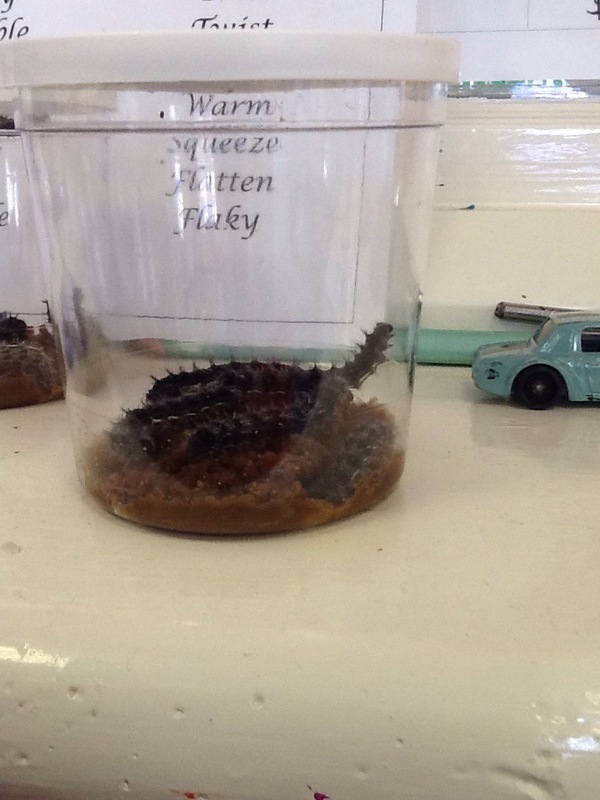 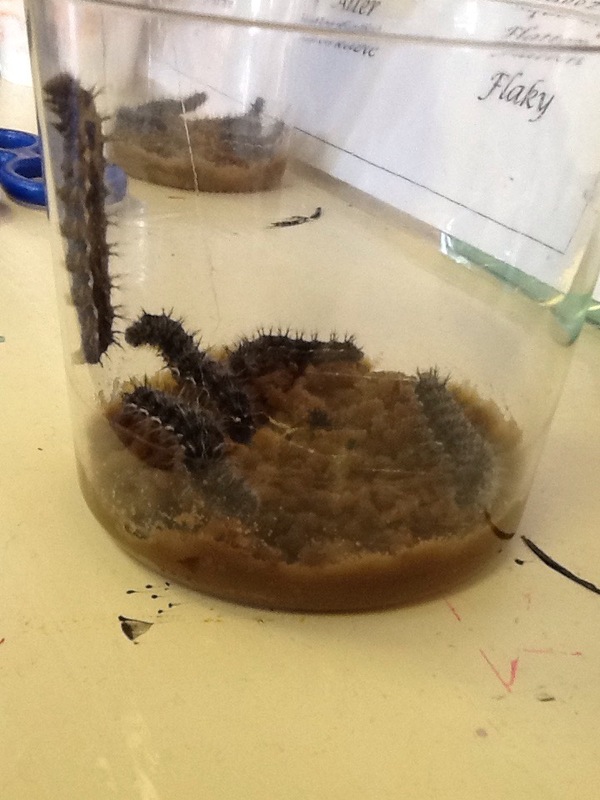 We have been watching the caterpillars in our classroom getting very big. 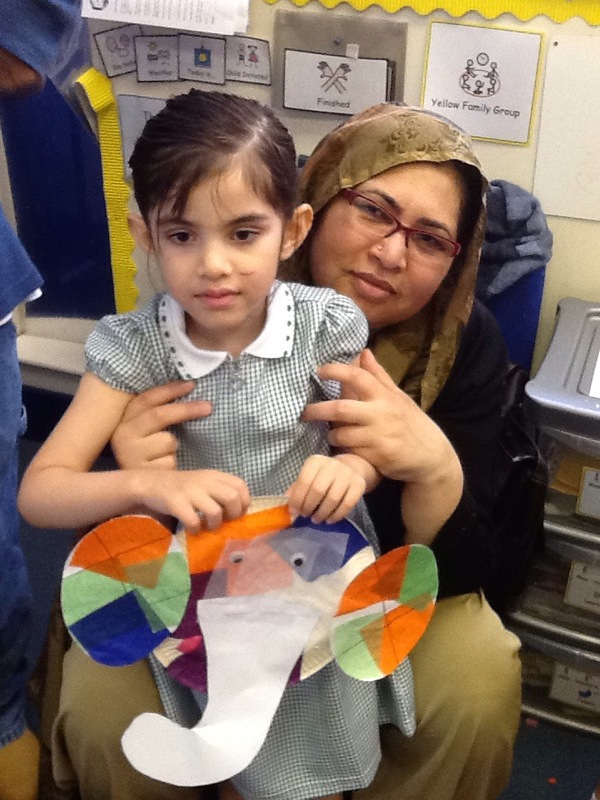 We have been learning a new nursery rhyme. 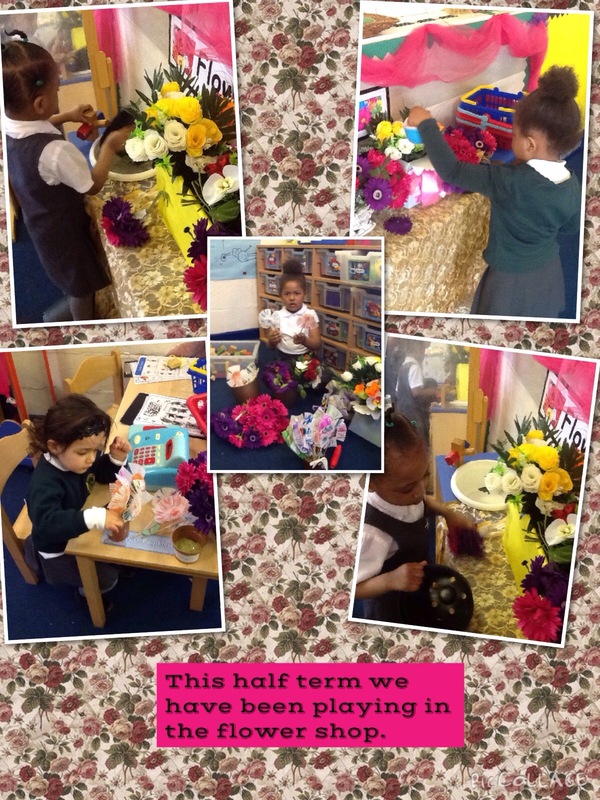 Our new topic this half term is ‘In the garden’. 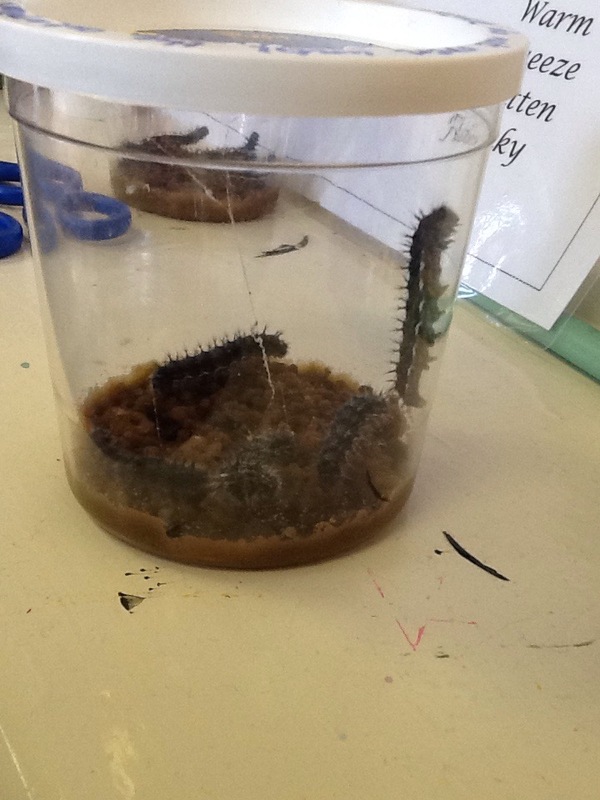 We have been having fun looking at mini beasts and playing in the flower shop.